AirplaneGeeks 398 Scott Hamilton, Leeham News and Comment - Airplane Geeks Podcast - The weekly audio podcast that explores and expands your passion for aviation. We talk with Scott Hamilton, the editor of Leeham News and Comment, about Solar Impulse 2, Bombardier and the CSeries, Boeing and the 737 MAX as well as a 787 engine AD, and Airbus and A321 assembly in Alabama. Scott Hamilton is the editor of Leeham News and Comment, which provides analysis along with the news, and the story behind the headline. Scott is known in the industry for his straight-shooting, call-it-like-it-is take on news and events. He is frequently called on by broadcast and print media to offer expert analysis about the issues of the day. Scott is also a regular speaker at aviation conferences and corporate events. Before creating Leeham News and Comment, Scott co-founded of Linkraven Ltd. in 1989. Linkraven published the internationally-distributed Commercial Aviation Report and Commercial Aviation Value Report, and organized conferences in Asia, Europe and the Americas under the Commercial Aviation Events banner. Scott was named Best Aerospace Journalist of the Year in 2009 in the Regional Airline Category. From 2010-2013 he was a member of the Board of Directors of the Pacific Northwest Aerospace Alliance. Learn more at the Leeham News and Comment website, follow them on Twitter at @leehamnews, and check out Leeham News on Facebook. After laying over in Hawaii for almost 10 months for repairs, the Solar Impulse 2 piloted by Bertrand Piccard landed in Mountain View, California just before midnight. The flight lasted just over 62 hours. Max Trescott witnessed the landing and gives us his impressions. He and Frank Sweeney posted some photos. Note: In Airplane Geeks Episode 361, we spoke with pilot André Borschberg after he flew Solar Impulse 2 from Japan to Hawaii. Can Bombardier extend CS300 to a CS500? The CS300 was designed as the base model, with the CS100 being a shrink. Some wonder if there could be a stretch version, a “CS500,” that could seat more passengers and that is better sized for airline needs. Delta may be about to announce aircraft orders. Perhaps another order for (192-seat Airbus) A321s, and an order for 75 small narrowbodies from either built Bombardier or Embraer. Delta has been complimentary of the CSeries, but they have also made it clear that the price must be right. The smallest B737 MAX, the -7 version with 126 seats in two class configuration, only has 60 firm orders. (30 from Southwest, 25 from Westjet, 5 from Canada Jetlines) Reportedly, Boeing is looking at a 150-seat model internally called the 737 MAX 7X. The Airbus assembly plant in Mobile, Alabama continues to reach milestones with the A321 destined for American Airlines making its first flight. Airbus also delivered its first made in America A321 to JetBlue. In January 2016, a GEnx-1B engine was shut down in flight after the engine experienced excessive vibration. Ice came off a fan blade and caused an imbalance of the fan. That led to “substantial damage” after the fan blade tips started rubbing on the fan case. The FAA issued an Airworthiness Directive [PDF] requiring repairs or one older engine on the plane. The older model is less susceptible to icing than the newer Performance Improvement Program (PIP) 2 engine. On July 23, 2014, TransAsia Airways Flight 222, an ATR 72-500, crashed into buildings during approach in bad weather at Magong Airport in Taiwan. Forty-eight on board died, including the two pilots, and 10 survived. Two air traffic controllers and the two pilots have been deemed negligent. Probably not a career-enhancing move. David travels to Langley and interviews two F-35 pilots. 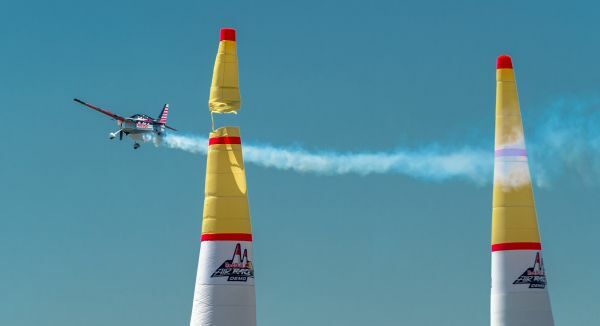 Kirby Chambliss performs at the Red Bull Air Race Demo at the Sun-N-Fun event in Lakeland, Florida, USA on 10 April 2016. Launchpad Marzari brings us an interview with Richie, head of the RedBull Air Gaters. Also see Pictures of the day: Red Bull Air Race demo wows SUN ‘n FUN crowds. 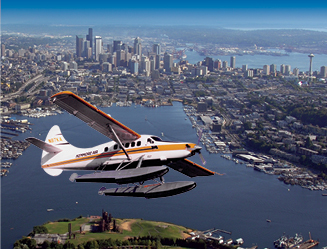 Kenmore Air – Providing scenic flight tours in Seattle with a de Havilland Canada DHC-2 Beaver and a DHC-3 Otter. General Aviation Aircraft Design by Snorri Gudmundsson. This entry was posted in Episodes and tagged 737MAX, A321, Airbus, B787, Bombardier, CSeries, Delta Air Lines, GE Aviation, Solar Impulse on April 27, 2016 by maxflight.